The Geekvape Zeus Dual RTA is an upgraded version of the original Zeus that retains the leakproof airflow system of its predecessor, but now supports both single and dual coil builds. The Zeus Dual makes building easier than ever, with a post-free, four-terminal design that gives you plenty of room to work with. The Geekvape Zeus Dual can accommodate both single and dual builds, giving you even more control over your vape, and has an innovative top airflow system that helps eliminate leakage and gives you fantastic flavor. 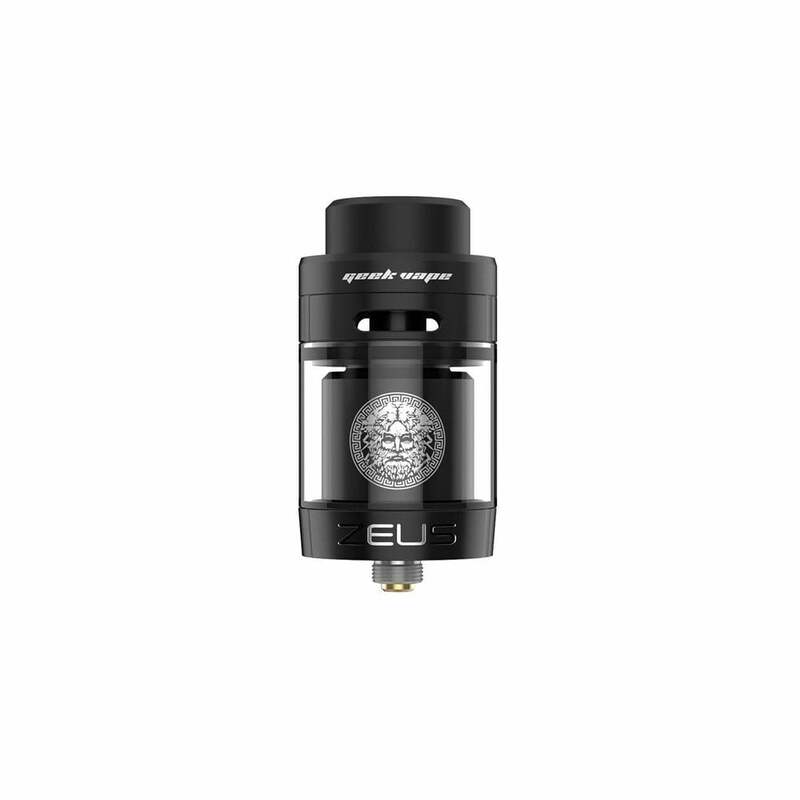 The Geekvape Zeus Dual has a diameter of 26mm, holds 5.5ml of your vape juice of choice and can be filled quickly and easily by unscrewing the top cap and squeezing your liquid into the filling slot. If you’re looking for a versatile RTA that provides high-end flavor, the Geekvape Zeus Dual RTA deserves serious consideration. My first dual RTA. It's beautiful, and the deck is easy enough to work with for a newbie. This is my first experience with this company: I'm very pleased. First, the Zeus Dual RTA appears to be available in 2 versions: a clear top retail display box, or the superior paperboard boxed version. Although the item description didn't specify packaging, I received the latter, which includes both the 4 & 5.5 ml glass, as well as the usual Geek Vape goodies. I've only purchased the boxed version before. This is a 100% authentic product with the correct shrink wrap, scratch sticker, and holographic seals at the box lid. I'm happy to be able to buy locally at a fair price, and not have to wait weeks for my supplies to be shipped from Shenzhen. Properly wicked (less is more) the Zeus crushes everything else on the market in dual coil mode (IMHO). Thanks for the great service, I'll be back!